Get a free collection bin for your boxtops when you sign up to support your school with the Box Tops for Education email newsletter. 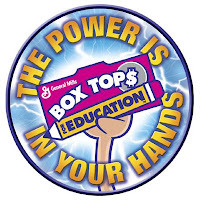 Click Here: Free BoxTops4Education Collection Bin Offer! You can clip 10¢ Box Tops coupons from hundreds of your favorite products such as Cheerios®, Betty Crocker®, Juicy Juice®, Ziploc®, Kleenex®, Hefty® and more! For the full list, click HERE. You can also get money back for your school for shopping on certain online stores. Click HERE for that list. On Page 2 of the AZ Republic is a coupon for 10% off you next shopping trip! Go to www.kmart.com and put in your zip code to find out if your store is participating or go to the bottom of this post for AZ Locations. Also, sign up for Kmart emails and get coupons for extra savings! 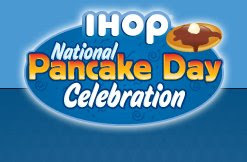 On Tuesday, February 24 from 7-10 am you can get a small stack of 3 of their yummy buttermilk pancakes for FREE at IHOP. They do ask that you make a donation to help local hospitals and organizations through the Make-A-Wish Foundation. Click Here: Free sub from Quizno’s when you sign up for their email list. Your coupon will be emailed to you and expires 5 days after printing, photo ID (!) required to redeem. Get a 20 page, 8×8 photobook from Shutterfly through March 10 with code PHOTOBOOKS. You’ll still have to pay shipping,which I think is about $7.00, but still a VERY good deal! Target has Goldfish crackers on a temporary price cut right now for $1.66. 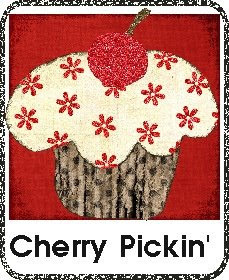 Click HERE to print off a coupon for 40% off one regular priced item in-store from February 20-26th. WALGREENS FREE PRINTS! 2/20 ONLY! 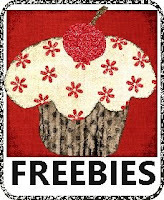 Click HERE to redeem or for more info! Buy any 10 participating items (Mix & Match), Save $5 instantly. Limit TWO $5 Rewards per transaction. For some reason I had more coupons that hadn't expired yet as well but I can't figure out what section they were in. Gold Canyon is having 15% off your entire online order and free shipping with code: PRE539FEB good until Feb 20th!! It does say in small print that order must be $50 before discount!! FREE Admission to The Phoenix Children's Museum this Saturday!! 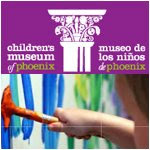 This Saturday, Feb 21, 2009, the Phoenix Children's Museum FREE to the general public for Shamrock Farms Day. (They will be unveiling a new milk line) There will be free product sampling, a nutritionist to answer any of your questions, crafts (making an igloo), and kids will get to meet Roxie the Cow and Sesame Street's Elmo and Grover. The museum is also FREE the first Friday of every month from 6pm-10pm for the rest of 2009. I recommend getting a new "junk" email address just for "freebies" and anything else you have to "register" your email address for. 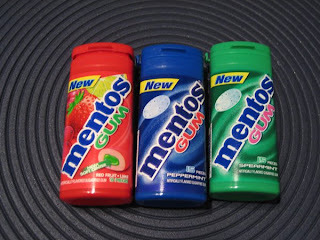 *P&G Did not release their insert dates, so this is an estimate. Click on this link: TGI Friday's Coupon to get your coupon. Buy one, get one free entree coupon. Click here to get your coupon for free Diet Dr. Pepper! You can choose a 20oz or 2-liter. The Children's Place 50% off SALE + an extra 15%! With the coupons, the diapers end up being $2.99 a package! Don't forget to checkout Shortcuts, Cellfire and UPromise for some more e-coupon match-ups.